If you've been reading the blog for a while, you may have noticed a pattern to my posts in mid-August, which usually feature nerves about the school year starting or dreading the busyness to come. My feelings are much the same this year. However, I'm working really hard to focus on some Oprah wisdom: "The greatest discovery of all time is that a person can change her future by merely changing her attitude." I'm also trying to follow my own tips for getting out of a funk/maintaining a positive attitude. Finally, I'm giving myself some grace when I fail, or when things don't work out like I want, and I'm making cookies. Sometimes that helps, you know? These cookies came about sort of by accident. I made them for the first time when I was in D.C. this summer. I didn't have my car in the city, so I always had to walk several blocks with my groceries. One day, I needed flour for a recipe but didn't want to buy a big heavy bag of regular flour, so I bought a small bag of coconut flour instead. A week or so later, I had a very intense weeknight cookie craving. 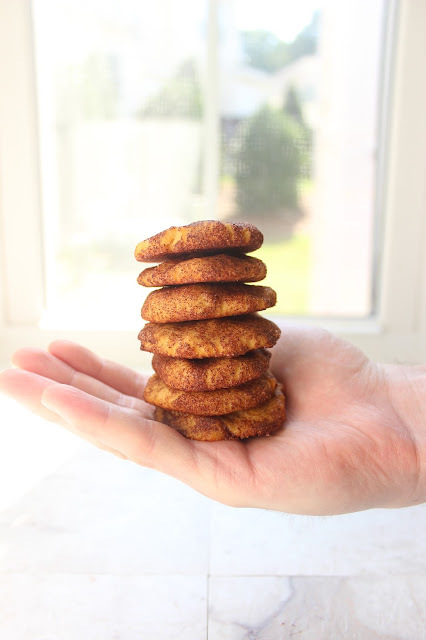 I started researching coconut flour chocolate chip cookies and stumbled upon this recipe. I didn't have any chocolate chips on hand, but the cookies still turned out really well. 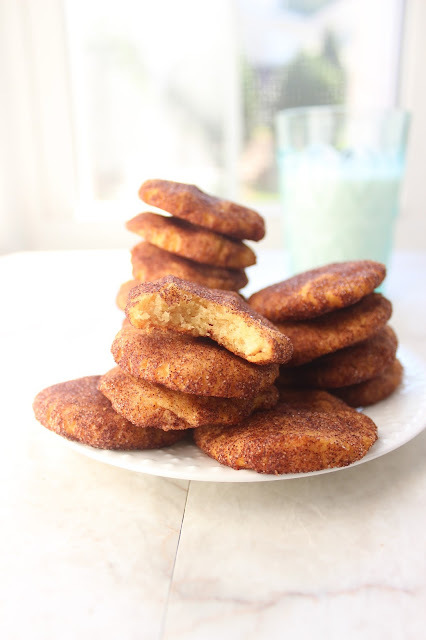 I also realized that the flavor and texture would be perfect for coconut flour snickerdoodles. And I was right! 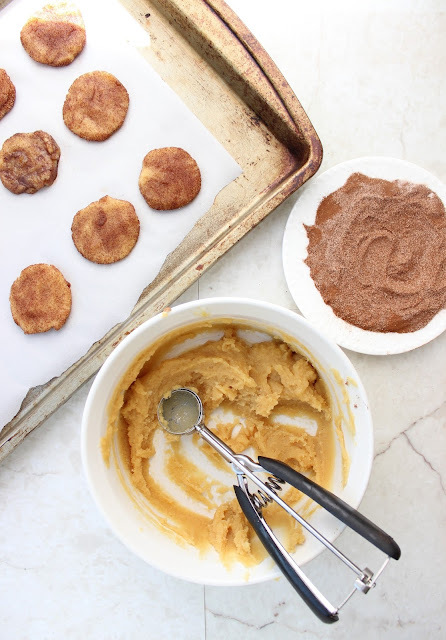 These cookies have a soft chewy texture that is just meant to be covered in cinnamon sugar. They're gluten free and naturally sweetened if you use coconut sugar. What are you waiting for? Preheat oven to 350. Prepare cookie sheet by lining with parchment paper or spraying with non-stick spray. Bake cookies at 350 for 12-14 minutes. For best results, let cookies cool completely before eating. *The first time I made these cookies, I used regular eggs, and the cookie dough texture was perfect. The second time I made them, I used large eggs, and the dough was a little too runny. I added an extra tablespoon of coconut flour to firm up the dough. You may need to experiment based on what kind of eggs you have. 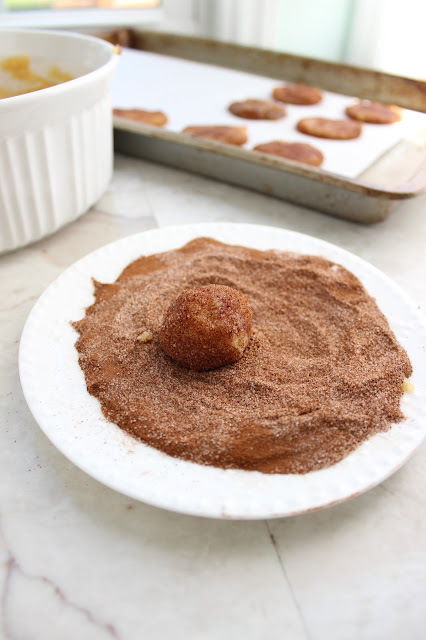 The dough to be firm enough to be able to shape into round balls to roll in the cinnamon/sugar. Oooohhhh September stress. I feel like it happens to all of us, whether we're in school anymore or not. It's ingrained! Cookies definitely help though. Love that these are GF! Making cookies always helps me too! Staying positive is definitely something I'm constantly working on. These cookies sound so good! I keep meaning to try using coconut flour ... I need to pick some up! I've made these a few times and they are wonderful! Then I decided to alter them to make lemon cookies. I made a double batch following this recipe, but I replaced one of the four eggs with one very large lemon (zest and juice), rolled them in plain sugar instead of cinnamon sugar...and voila!!! yummy lemon cookies!!! Now I want to try and make them pumpkin! Thanks for the recipe! Yum, these look awesome. 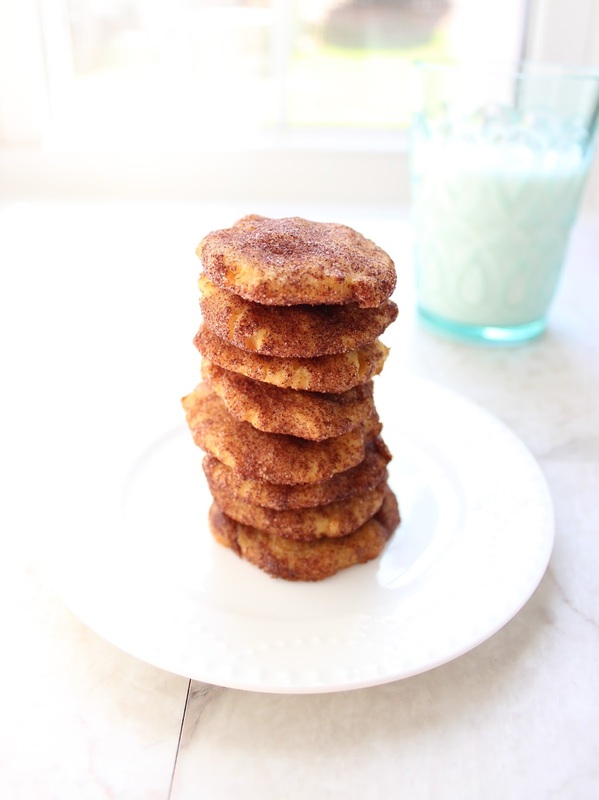 I never thought of adding coconut flour! Can’t wait to make these for my kids. I've made these a couple of times and they are brilliant! At that point I chose to adjust them to make lemon treats. I made a twofold group following this formula, yet I supplanted one of the four eggs with one vast lemon (get-up-and-go and squeeze), moved them in plain sugar rather than cinnamon sugar...and voila!!! yummy lemon treats!!! Presently I need to attempt and make them pumpkin! A debt of gratitude is in order for the formula! I needed to thank you for this incredible read. I certainly getting a charge out of each and every piece of it I have you bookmarked to look at new stuff you post.